I’ve just finished reading “When a Billion Chinese Jump” by Jonathan Watts. It took me a while – it’s a pretty huge book, with copious notes to flick back and forth to. But I am glad I got there. Yes, the book is rather depressing. But it is also an engaging tour of the country, its provinces, cities and people, and the different historical, geographical, economic and behavioural factors that add up to mean that China is now the largest emitter of greenhouse gases and a huge consumer of many other natural resources such as water and forests. The book reminded me of a friend’s story, visiting a shall-remain-nameless state in America as a child. When he returned, he told his dad “I don’t like America”. His dad replied “Only idiots don’t like America – it is so big, with so many different places, that you will like at least one part of it”. Avoiding generalisation is crucial when it comes to China too. 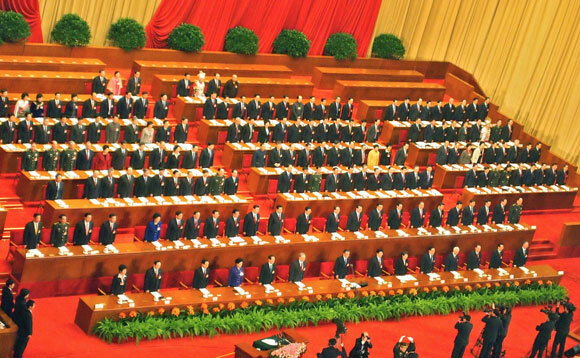 Last week, China’s Premier Wen Jiabao presented the country’s 12th Five Year Plan to the National People’s Congress – who will formally adopt it this week. This 12th plan has been hailed as a marked, positive shift in China’s environmental policy. It’s the first plan ever to mention climate change, and the government has pledged to not only focus on achieving economic growth, but to focus on the quality of that growth. Embedded in the plan are high aspirations to increase its service sector from making up 40% to over 70% of its GDP, to modernise its agricultural sector, and to shift from being the world’s factory to being the world’s innovator. This World Resources Institute article summarises the plan’s key environmental components. China also has a new long-term target for 100 million new electric cars and buses to be produced each year by 2020. Compare that to the 200 electric vehicles sold in the UK in 2010 – and it’s clear that the magnitudes are impressive…huge achievements if they can be managed. The management question is important. Jonathan Watts argues that although national planning has a strong role to play in determining China’s environmental outcomes, he says only local governments, industries and civil society can really enforce a low-carbon growth path. This is due to China’s vast size and differences across regions – illustrated in these brilliant Economist maps of GDP and population differences across the country. These differences – added to geographical factors – mean that while some provinces continue to invest in coal and other polluting industries, others are experimenting with carbon capture and storage. Five provinces and eight cities are going to be “low-carbon growth pilots” (the UK will partner with three of these – in Chongqing, Guangdong and Hubei). One of the cities – Tianjin – is even experimenting with emissions trading. But while some Chinese provinces are almost futuristic, there are still enormous areas of poverty in which communities are extremely vulnerable to climate change impacts, such as the recent drought which also had implications for global food security. So even though DFID is finishing its bilateral aid to China, it’s still crucial for the Department to keep up with and influence what is happening China. That is why China is part of the new Global Development Partnership Programme that we are establishing, to strengthen its positive impact on global development issues, such as climate change. We need to help share China’s experiences with the countries we give aid to, and learn lessons about the good and the bad in China – where high-quality, low-carbon growth has been achieved, where adaptation is working, and where it hasn’t so far. We could even look at lessons learnt from China’s failed attempt over six years ago to measure “Green GDP” and whether it might revive these attempts now. But whatever we do, we should avoid generalising about China. Doing so might be…foolish.